From a young age, as young as I could remember I loved to read books, to grow my mind, find and learn new information, to be mosey in someone's real world, to get lost in an adventure, you name it I wanted to read it. So it was only right to share that passion with my daughter. Now, don't get me wrong I do not read to Leanora every night, but most yes. I am guilty of relying on the talking Nannie (IPad) as they have some great apps such as Disney Life who have a great range of talking books, it is a big help on those nights when you've got chores to do, but nothing, not even a kindle can beat an actual book. I love the feel and smell of books, I used to read two, three books a week easily. I was so bad as a kid my mum used to wake in the middle of the night, 2-3am and find me in bed wired just reading she had to pry the book or books out of my hand and stand there until I feel asleep, I am not a fool mother I had a back up in my pillowcase (Goosebumps) ha! Just to let my imagination roam and get lost in the wonder of it all truly made me happy and why would I not want that for my daughter. So here are some reasons why I truly believe it's important to read to you children. 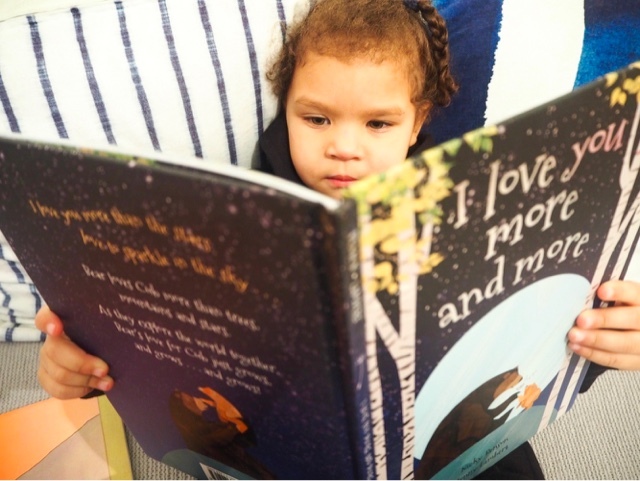 Reading brings out your child's imagination they are able to bring it to life in games and wonder and may inspire them to write their own books, filled with mystery, king, queens, princess and princes to witches and robot overlords. Why not let your child take the lead in a story or finish off an ending, they are able to create their own world in a story or even drawing allows the mind to create and expand a new world. 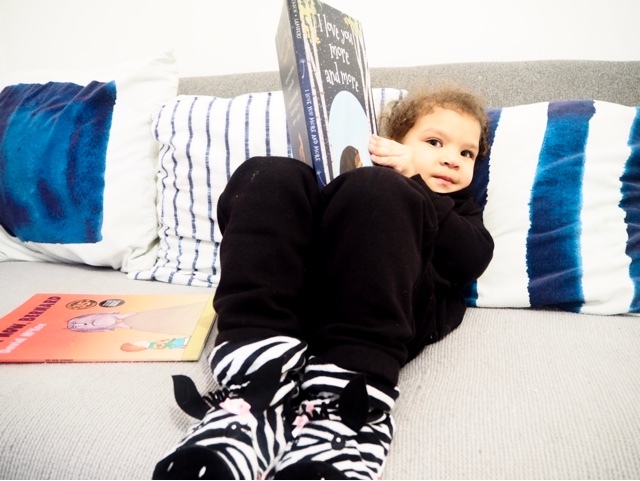 Leanora is nearly 3 and this is the stage when she will be learning all about phonics, so why not help give them a head start and reading books can help them get there by sounding out words, it will also help with spelling and learning new words. A good book can help focus a child's mind. Best time to read is when you have everything off around you, helps to stimulate their mind and keep them focused on what is in front of them. Reading I find can leave you feeling calm and relaxed, your brain may be ticking over from the latest adventure but they will feel calmer, it almost like a little meditation and helps to pace the breathing and relax the mind. I think you all may agree that reading is important, how do you prefer to read with the kids, with books or an iPad, or are you like me and use both, but prefer books? Did you know that I had a Facebook and Bloglovin Page? You can follow us there for more adventures.